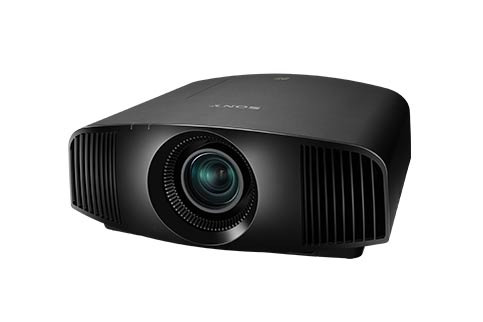 Sony’s super popular VPL VW285ES projector uses SXRD display technology. SXRD, which stands for silicon x-tal reflective display, is Sony’s take on liquid crystal on silicon display, more commonly known as LCoS. As a refresher, LCoS, which has been on the market for several years now, is a hybrid of DLP and LCD display technologies. It’s basically constructed of a layer of liquid crystal sitting on top of a reflective surface. The light created by the lamp reflects off this surface, unless the liquid crystal twists to block it. But Sony’s take on LCoS is unique. Here are three reasons why Sony’s SXRD projectors blow us away. Since their debut, LCoS projects have been notoriously difficult to manufacture. Sony streamlined the process by producing their SXRD panels in their own dedicated manufacturing facilities. The savings they gain from the increased efficiency is passed on to customers. Sony’s VPL-VW285ES full HD SWRD home theater projector is at least $500 less than its LCoS counterparts. LCoS projectors have always been known for their exceptional contrast ratios. The teeny tiny gap between the liquid crystals allows very little light to pass through, resulting in exceptionally dark black levels. Sony’s SXRD panels are just as advanced as LCoS, if not more so. The SXRD projectors use a vertically aligned nematic (VAN) liquid crystal that changes state with lightning-fast speed. This enables the microdisplay to run as fast as 200 frames per second, with very little image smear. Liquid crystal displays - whether in a LCD or LCoS panel - have an inherent minuscule motion blur. To overcome this, Sony’s HW40ES SXRD projector has a high 240HZ refresh rate. Advanced settings like film projection mode and a built-in motion smoother make for ultra smooth movement. Action movies and sports have never looked so good.